August 27, 2016 – San Francisco, CA. Dr. Alex Rabinovich, one of San Francisco’s top maxillofacial surgeons, is proud to announce an informational page update on facial surgery, now publicly available on his website. Dr. Rabinovich’s website shares information with the general public on topics as diverse as dental implants, wisdom teeth, facial trauma, and other surgical topics. To review the updated page on facial surgery, please go to – https://www.oralsurgery-sf.com/facial-trauma/. To read more about oral surgery and Dr. Rabinovich’s dental implants specialization, simplpy click on the ‘procedures’ tab or visit his specialty dental implants website at http://www.sfdentalimplants.com/. On both websites, interested patients can click up to a ‘contact us’ button to reach out for a consultation, or call via the telephone number indicated on the website. Dr. Rabinovich practices in San Francisco, California. The San Francisco area continues to be a hotbed for innovation and discovery and the future appears to look bright for Bay Area locals. As residents move about, facial trauma can happen in an instant and stop a normal life in its tracks. Injuries from a car accident or illness can cause a person to fall into depression and stop moving forward. 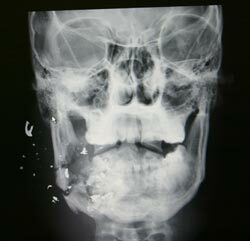 Losing teeth or breaking a jaw may affect a person’s ability to eat, breath or feel comfortable in public. In addition to accidental problems, some patients are born with facial defects that can range from purely cosmetic to severe. On the newly updated page, patients can take the first informational step towards learning their options. Dr. Rabinovich understands the discomfort associated with facial trauma. Jaw reconstruction, dental implants and craniomaxillofacial surgery can be part of the solution to helping injured Bay Area residents. A plan to get back on the path to a normal life can bring the future back into focus for San Francisco residents. San Francisco Dental Implant Center, under the direction of Dr. Alex Rabinovich, focuses on the placement and restoration of dental implants, making it among the top-rated dental implant clinics in the San Francisco Bay Area. Dr. Rabinovich is a Board Certified Oral and Maxillofacial Surgeon specializing in the field of dental implants. This additional training, along with his years of experience, means Alex Rabinovich MD DDS is also a skilled facial surgeon. Bay Area locals suffering from facial trauma due to injury or illness can contact Dr. Rabinovich to discuss face surgery options. San Francisco Dental Implant Center serves the San Francisco Bay Area including Palo Alto, San Mateo, Redwood City and Mountain View.